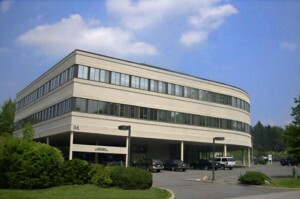 T Square Properties is pleased to announce the lease of 7,000 square feet of office space at 116 Radio Circle Drive. Mount Kisco NY to Selznick and Associates. Trevor Tunnell, President of T Square Properties, Inc. represented both sides of this transaction. Selznick and Associates are a highly regarded accounting firm with a long history in Westchester. Due to the passing of the founder, the new owners of the Firm were additionally faced with the prospect of losing their customary premises as their building was being sold. Selznick and Associates engaged Trevor with the goal of finding a new space within a specifically designated geographic areas, in a quality building with the presence and sophisticated ambiance their customers had come to expect. It was no easy task to recapture 30 years of customer goodwill and comfort with the previous space in finding a new one. Trevor began by touring their existing offices to get an intimate understanding of what they were coming from and what they were trying to achieve in a new office space and why they needed to be within such a narrowly defined geographic region. He then canvassed the best properties within the zone and previewed the spaces which best fulfilled the Tenant’s criteria directly, winnowing out unsuitable properties.